Are you looking for a company that does Steel fabrication in Barking and Dagenham? SAS Projects is the ideal company for your Steel fabrication project in Barking and Dagenham. We have many years experience in Steel fabrication and other services in Barking and Dagenham. Our highly skilled team can provide a trusted services including project management and delivery. We have been serving companies and delivering projects in and around Barking and Dagenham for over 10 years and have becuase a trusted and respected partner on many projects. Our Steel fabrication team have the experience, knowledge and skill to deliver your project on time and on budget. Steel fabrication is the process used to manufacture steel components that when assembled and joined, form a complete frame. Often these frames will use readily available standard sections put together with the addition of other specialist items such as rollers, doors or shutters. Although there are a wealth of standard section shapes and sizes easily available, steel fabrication experts are able to supply custom size metal sheets and frames for bespoke project requirements. Steel fabricated frames are produced to exceedingly high quality standards, which can swiftly and easily be erected on site to form additional room or floors, or in this case, storage units. Specialist steel fabrication companies will be able to advise on every aspect of expanding your commercial space using steel frames and fabrications. From bespoke planning arrangements, through to standard fit steels or additional mezzanine floors, they will know how to design, supply, fit and deal with any relevant planning regulations. As manufacturers of high quality steel fabrication, our design team and manufacturing experts can produce unique 'turn-key' solutions for domestic and commercial clients alike. All our products are custom made, and designed to fit your exact specifications. As experts in our trade, we supply and fit as standard for your convenience. Our fully trained manufacturing team work closely with our designers to ensure smooth running production throughout every aspect of a project. We are able to produce mezzanines, stair cases, lift shafts, partitioning panels, self storage doors, complete self storage fit-outs, gates, railings and bespoke steel work all in-house for use within your commercial self storage unit environment. All of our steel work is available in a variety of finishes to suit our clients needs, either to match existing schemes or to create a new and unique finish. 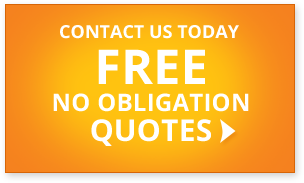 for a fast, free, no-obligation quote or to discuss your steel fabrication project. Prinz Harry Rührende Aufnahmen: Jeden Tag kann das Baby kommen – und er hat Herzklopfen!